When nutrients and energy are in short supply, cells, tissues, organs, and organ systems do not function properly. Unbalanced diets can cause diseases and, conversely, certain illnesses and diseases can cause an inadequate intake and absorption of nutrients, simulating the health consequences of an unbalanced diet. Overeating high-fat foods and nutrient-poor foods can lead to obesity and exacerbate the symptoms of gastroesophageal reflux disease (GERD) and irritable bowel syndrome (IBS). Many diseases and illnesses, such as celiac disease, interfere with the body getting its nutritional requirements. A host of other conditions and illnesses, such as food allergies, cancer, stomach ulcers, Crohn’s disease, and kidney and liver disease, also can impair the process of digestion and/or negatively affect nutrient balance and decrease overall health. Some illnesses that can compromise health are chronic and persist for a long time, some are communicable and can be transmitted between people, and some are non-communicable and are not infectious. Gastroesophageal reflux disease (GERD) is a persistent form of acid reflux that occurs more than two times per week. Acid reflux occurs when the acidic contents of the stomach leak backward into the esophagus and cause irritation. It is estimated that GERD affects 25 to 35 percent of the US population. An analysis of several studies published in the August 2005 issue of Annals of Internal Medicine concludes that GERD is much more prevalent in people who are obese. The most common GERD symptom is heartburn, but people with GERD may also experience regurgitation (flow of the stomach’s acidic contents into the mouth), frequent coughing, and trouble swallowing. There are other causative factors of GERD that may be separate from or intertwined with obesity. The sphincter that separates the stomach’s internal contents from the esophagus often does not function properly and acidic gastric contents seep upward. Sometimes the peristaltic contractions of the esophagus are also sluggish and compromise the clearance of acidic contents. In addition to having an unbalanced, high-fat diet, some people with GERD are sensitive to particular foods—chocolate, garlic, spicy foods, fried foods, and tomato-based foods—which worsen symptoms. Drinks containing alcohol or caffeine may also worsen GERD symptoms. GERD is diagnosed most often by a history of the frequency of recurring symptoms. A more proper diagnosis can be made when a doctor inserts a small device into the lower esophagus that measures the acidity of the contents during one’s daily activities. About 50 percent of people with GERD have inflamed tissues in the esophagus. The first approach to GERD treatment is dietary and lifestyle modifications. Suggestions are to reduce weight if you are overweight or obese, avoid foods that worsen GERD symptoms, eat smaller meals, stop smoking, and remain upright for at least three hours after a meal. People with GERD may not take in the nutrients they need because of the pain and discomfort associated with eating. As a result, GERD can be caused by an unbalanced diet and its symptoms can lead to a worsening of nutrient inadequacy, a vicious cycle that further compromises health. Some evidence from scientific studies indicates that medications used to treat GERD may accentuate certain nutrient deficiencies, namely zinc and magnesium. When these treatment approaches do not work surgery is an option. The most common surgery involves reinforcing the sphincter that serves as a barrier between the stomach and esophagus. Irritable bowel syndrome (IBS) is characterized by muscle spasms in the colon that result in abdominal pain, bloating, constipation, and/or diarrhea. Interestingly, IBS produces no permanent structural damage to the large intestine as often happens to patients who have Crohn’s disease or inflammatory bowel disease. It is estimated that one in five Americans displays symptoms of IBS. The disorder is more prevalent in women than men. Two primary factors that contribute to IBS are an unbalanced diet and stress. Celiac disease is most common in people of European descent and is rare in people of African American, Japanese, and Chinese descent. It is much more prevalent in women and in people with Type 1 diabetes, autoimmune thyroid disease, and Down and Turner syndromes. Symptoms can range from mild to severe and can include pale, fatty, loose stools, gastrointestinal upset, abdominal pain, weight loss and, in children, a failure to grow and thrive. The symptoms can appear in infancy or much later in life, even by age seventy. Celiac disease is not always diagnosed because the symptoms may be mild. A large number of people have what is referred to as “silent” or “latent” celiac disease. Celiac disease diagnosis requires a blood test and a biopsy of the small intestine. Because celiac disease is an autoimmune disease, antibodies produced by white blood cells circulate in the body and can be detected in the blood. When gluten-containing foods are consumed the antibodies attack cells lining the small intestine leading to a destruction of the small villi projections. This tissue damage can be detected with a biopsy, a procedure that removes a portion of tissue from the damaged organ. Villi destruction is what causes many of the symptoms of celiac disease. The destruction of the absorptive surface of the small intestine also results in the malabsorption of nutrients, so that while people with this disease may eat enough, nutrients do not make it to the bloodstream because absorption is reduced. The effects of nutrient malabsorption are most apparent in children and the elderly as they are especially susceptible to nutrient deficiencies. Over time these nutrient deficiencies can cause health problems. Poor absorption of iron and folic acid can cause anemia, which is a decrease in red blood cells. Anemia impairs oxygen transport to all cells in the body. Calcium and vitamin D deficiencies can lead to osteoporosis, a disease in which bones become brittle. Oral health refers not only to healthy teeth and gums, but also to the health of all the supporting tissues in the mouth such as ligaments, nerves, jawbone, chewing muscles, and salivary glands. Over ten years ago the Surgeon General produced its first report dedicated to oral health, stating that oral health and health in general are not separate entities. Instead, oral health is an integral part of overall health and well-being. Soft drinks, sports drinks, candies, desserts, and fruit juices are the main sources of “fermentable sugars” in the American diet. (Fermentable sugars are those that are easily metabolized by bacteria in a process known as fermentation. Glucose, fructose, and maltose are three examples.) Bacteria that inhabit the mouth metabolize fermentable sugars and starches in refined grains to acids that erode tooth enamel and deeper bone tissues. The acid creates holes (cavities) in the teeth that can be extremely painful. Gums are also damaged by bacteria produced by acids, leading to gingivitis (characterized by inflamed and bleeding gums). Saliva is actually a natural mouthwash that neutralizes the acids and aids in building up teeth that have been damaged. According to Healthy People 2010, 23 percent of US children have cavities by the age of four, and by second grade, one-half of all children in this country have at least one cavity. Cavities are an epidemic health problem in the United States and are associated with poor diet, but other contributors include poor dental hygiene and the inaccessibility to regular oral health care. A review in Academic Pediatrics reports that “frequent consumption of fast-releasing carbohydrates, primarily in the form of dietary sugars, is significantly associated with increased dental caries risk.” In regards to sugary soft drinks, the American Dental Association says that drinking sugary soft drinks increases the risk of decay formation. A substantial health benefit of whole grain foods is that fiber actively supports digestion and optimizes colon health. (This can be more specifically attributed to the insoluble fiber content of whole grains.) There is good evidence supporting that insoluble fiber prevents the irritating problem of constipation and the development of diverticulosis and diverticulitis. 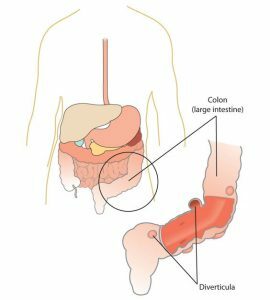 Diverticulosis is a benign condition characterized by outpouches of the colon. Diverticulitis occurs when the outpouches in the lining of the colon become inflamed. Interestingly, diverticulitis did not make its medical debut until the early 1900s, and in 1971 was defined as a deficiency of whole-grain fiber. According to the National Digestive Diseases Information Clearinghouse, 10 percent of Americans over the age of forty have diverticulosis, and 50 percent of people over the age of sixty have the disorder. Ten to 25 percent of people who have diverticulosis go on to develop diverticulitis. Symptoms include lower abdominal pain, nausea, and alternating between constipation and diarrhea. Some studies have found a link between high dietary-fiber intake and a decreased risk for colon cancer. However an analysis of several studies, published in the Journal of the American Medical Association 2005, did not find that dietary-fiber intake was associated with a reduction in colon cancer risk. There is some evidence that specific fiber types (such as inulin) may protect against colon cancer, but more studies are needed to conclusively determine how certain fiber types (and at what dose) inhibit colon cancer development. Osteoporosis is the excessive loss of bone over time. It leads to decreased bone strength and an increased susceptibility to bone fracture. The Office of the Surgeon General (OSG) reports that approximately ten million Americans over age fifty are living with osteoporosis, and an additional thirty-four million have osteopenia, which is lower-than-normal bone mineral density. Osteoporosis is a debilitating disease that markedly increases the risks of suffering from bone fractures. A fracture in the hip causes the most serious consequences—and approximately 20 percent of senior citizens who have one will die in the year after the injury. Osteoporosis affects more women than men, but men are also at risk for developing osteoporosis, especially after the age of seventy. These statistics may appear grim, but many organizations—including the National Osteoporosis Foundation and the OSG—are disseminating information to the public and to health-care professionals on ways to prevent the disease, while at the same time, science is advancing in the prevention and treatment of this disease. As previously discussed, bones grow and mineralize predominantly during infancy, childhood, and puberty. During this time, bone growth exceeds bone loss. By age twenty, bone growth is fairly complete and only a small amount (about 10 percent) of bone mass accumulates in the third decade of life. By age thirty, bone mass is at its greatest in both men and women and then gradually declines after age forty. Bone mass refers to the total weight of bone tissue in the human body. The greatest quantity of bone tissue a person develops during his or her lifetime is called peak bone mass. The decline in bone mass after age forty occurs because bone loss is greater than bone growth. The increased bone degradation decreases the mineral content of bone tissue leading to a decrease in bone strength and increased fracture risk. Osteoporosis is referred to as a silent disease, much like high blood pressure, because symptoms are rarely exhibited. A person with osteoporosis may not know he has the disease until he experiences a bone break or fracture. Detection and treatment of osteoporosis, before the occurrence of a fracture, can significantly improve the quality of life. To detect osteopenia or osteoporosis, BMD must be measured by the DEXA procedure. During the course of osteoporosis, BMD decreases and the bone tissue microarchitecture is compromised. Excessive bone resorption in the trabecular tissue increases the size of the holes in the lattice-like structure making it more porous and weaker. A disproportionate amount of resorption of the strong cortical bone causes it to become thinner. The deterioration of one or both types of bone tissue causes bones to weaken and, consequently, become more susceptible to fractures. The American Academy of Orthopaedic Surgeons reports that one in two women and one in five men older than sixty-five will experience a bone fracture caused by osteoporosis. 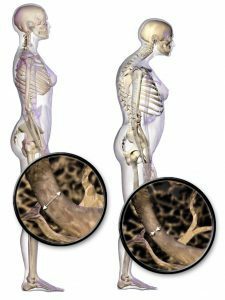 When the vertebral bone tissue is weakened, it can cause the spine to curve. The increase in spine curvature not only causes pain, but also decreases a person’s height. Curvature of the upper spine produces what is called Dowager’s hump, also known as kyphosis. Severe upper-spine deformity can compress the chest cavity and cause difficulty breathing. It may also cause abdominal pain and loss of appetite because of the increased pressure on the abdomen. A risk factor is defined as a variable that is linked to an increased probability of developing a disease or adverse outcome. Recall that advanced age and being female increases the likelihood for developing osteoporosis. These factors present risks that should signal doctors and individuals to focus more attention on bone health, especially when the risk factors exist in combination. This is because not all risk factors for osteoporosis are out of your control. Risk factors such as age, gender, and race are biological risk factors, and are based on genetics that cannot be changed. By contrast, there are other risk factors that can be modified, such as physical activity, alcohol intake, and diet. The changeable risk factors for osteoporosis provide a mechanism to improve bone health even though some people may be genetically predisposed to the disease. Bone is a living tissue, like muscle, that reacts to exercise by gaining strength. Physical inactivity lowers peak bone mass, decreases BMD at all ages, and is linked to an increase in fracture risk, especially in the elderly. Recall that mechanical stress increases bone remodeling and leads to increased bone strength and quality. Weight-bearing exercise puts mechanical stress on bones and therefore increases bone quality. Weight-bearing exercises such as strength training with weights, and aerobic weight-bearing activities, such as walking, running, and stair climbing are the most helpful for maintaining BMD. Certain aerobic exercises such as biking and swimming do not build bones, although they are very good for cardiovascular fitness.The stimulation of new bone growth occurs when a person participates in weight-bearing or resistance activities that force the body to work against gravity. Research has shown that this is an excellent way to activate osteoblasts to build more new bone. Conversely, physical inactivity lowers peak bone mass, decreases BMD at all ages, and is linked to an increase in fracture risk, especially in the elderly. Being underweight significantly increases the risk for developing osteoporosis. This is because people who are underweight often also have a smaller frame size and therefore have a lower peak bone mass. Maintaining a normal, healthy weight is important and acts as a form of weight-bearing exercise for the skeletal system as a person moves about. Additionally, inadequate nutrition negatively impacts peak bone mass and BMD. The most striking relationship between being underweight and bone health is seen in people with the psychiatric illness anorexia nervosa. Anorexia nervosa is strongly correlated with low peak bone mass and a low BMD. In fact, more than 50 percent of men and women who have this illness develop osteoporosis and sometimes it occurs very early in life. Women with anorexia nervosa are especially at risk because they not only have inadequate nutrition and low body weight, but also the illness is also associated with estrogen deficiency. 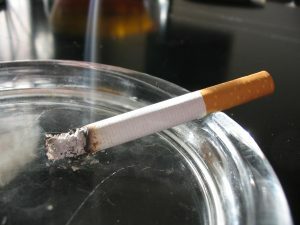 Smoking cigarettes has long been connected to a decrease in BMD and an increased risk for osteoporosis and fractures. However, because people who smoke are more likely to be physically inactive and have poor diets, it is difficult to determine whether smoking itself causes osteoporosis. What is more, smoking is linked to earlier menopause and therefore the increased risk for developing osteoporosis among female smokers may also be attributed, at least in part, to having stopped estrogen production at an earlier age. A review of several studies, published in the British Medical Journal in 1997, reports that in postmenopausal women who smoked, BMD was decreased an additional 2 percent for every ten-year increase in age and that these women had a substantial increase in the incidence of hip fractures. Alcohol intake’s effect on bone health is less clear. In some studies, excessive alcohol consumption was found to be a risk factor for developing osteoporosis, but the results of other studies suggests consuming two drinks per day is actually associated with an increase in BMD and a decreased risk for developing osteoporosis. The International Osteoporosis Foundation states that consuming more than two alcoholic drinks per day is a risk factor for developing osteoporosis and sustaining a hip fracture in both men and women. Moreover, excessive alcohol intake during adolescence and young adulthood has a more profound effect on BMD and osteoporosis risk than drinking too much alcohol later in life. Some studies have found that, similar to alcohol intake, excessive caffeine consumption has been correlated to decreased BMD, but in other studies moderate caffeine consumption actually improves BMD. Overall, the evidence that caffeine consumption poses a risk for developing osteoporosis is scant, especially when calcium intake is sufficient. Some evidence suggests that carbonated soft drinks negatively affect BMD and increase fracture risk. Their effects, if any, on bone health are not attributed to caffeine content or carbonation. It is probable that any effects of the excessive consumption of soft drinks, caffeinated or not, on bone health can be attributed to the displacement of milk as a dietary source of calcium. Ensuring adequate nutrition is a key component in maintaining bone health. Having low dietary intakes of calcium and vitamin D are strong risk factors for developing osteoporosis. Another key nutrient for bone health is protein. Remember that the protein collagen comprises almost one third of bone tissue. A diet inadequate in protein is a risk factor for osteoporosis. Multiple large observational studies have shown that diets high in protein increase BMD and reduce fracture risk and that diets low in protein correlate to decreased BMD and increased fracture risk. There has been some debate over whether diets super high in animal protein decreases bone quality by stimulating bone resorption and increasing calcium excretion in the urine. A review in the May 2008 issue of the American Journal of Clinical Nutrition concludes that there is more evidence that diets adequate in protein play a role in maximizing bone health and there is little consistent evidence that suggests high protein diets negatively affect bone health when calcium intake is adequate. Nutrition and Health and Disease by University of Hawai’i at Mānoa Food Science and Human Nutrition Program is licensed under a Creative Commons Attribution-NonCommercial-ShareAlike 4.0 International License, except where otherwise noted.